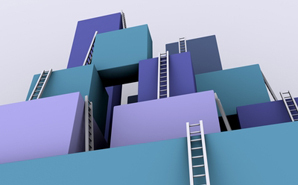 These days, moving up is less like climbing a ladder and more like picking your way through a maze. How to navigate that maze? Go back to the basics: the tried and true methods that make for a successful career. So then…why do we refer to the following “tried and true” tips as “secrets?” They must be, because so few of your fellow nurses use them! What do high-powered nurse managers often have in common? A higher degree or certification. Look into higher education and/or nursing certification programs in your field that give you a leg up. Not only will you be educating yourself, you’ll be learning from seasoned professionals and interacting with others in your field. If going back to nursing school isn’t your thing, consider taking certificate classes and attending conferences that increase your awareness of healthcare industry trends. Getting yourself seriously educated sends a strong message that you are invested in what you do and that you have a genuine interest in staying on top of your game. You don’t have to stick to industry-specific classes, either! Consider learning a new language or taking up a musical instrument. By diversifying yourself, you are staying ahead of the competition and widening your range of skills. What better way to move up at the hospital than to turn to an experienced nurse who’s been through it all? Mentors have not only been in your shoes, they also know a little something about the business you’re in. A mentor is like an anchor, grounding you when you are lost. They offer career advice, listen to patient complaints, or just lend an ear in a moment of crisis. The right mentor can drastically change your career path for the better. How can you get promoted if nobody knows who you are? It’s not just about showing up every day and doing your rounds. Smart nurses go beyond their job descriptions. Speak up and get noticed! Make sure you contribute valuable ideas and are confident in your work. After all, if you don’t believe in yourself, why should anyone else? Tip: Offer to BE a mentor or preceptor to show how willing you are to help others.